Best Place to View Eclipse The area around Salem, Oregon, is one of the best places in the United States to view The Great American Eclipse on August 21, 2017. For about two minutes, the sky will go dark and stars will be visible at 10:17 a.m.. Brooks Winery in the Eola-Amity Hills is holding a eclipse part to celebrate this event. Ethan Siegel, a theoretical astrophysicist and local Portland legend will be in attendance overnight and will share his knowledge about the stars. There are two options: a Sunny Day Package featuring yoga in morning, brunch, wine, a talk by Ethan, eclipse viewing and lunch by Chef Abby (families welcome) or the Starry Night Package featuring everything in the Sunny Day Package plus overnight camping the night before, live music, a BBQ, wine and a star talk with Ethan. Tickets must be purchased in advance and early bird pricing ends February 28, 2017. View all details at www.brookswine.com/eclipse/. 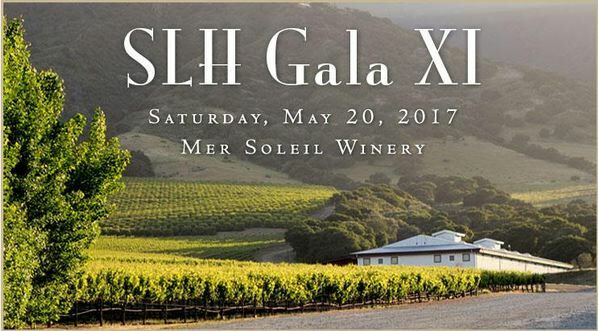 SLH Gala XI Tickets are on sale for the Santa Lucia Highlands Annual Gala taking place from 12:00 p.m. to 3:00 p.m. on Saturday, May 20, 2017, at Mer Soleil Winery in Salinas.. The Gala is a strolling wine tasting through the barrel cellar of Mer Soleil, a venue not usually open to the public. Guests will be able to sample limited release wines from the Santa Lucia Highlands AVA, most poured by the vintners. Participating wineries include many of your Pinot Noir producing favorites like August West, Belle Glos, Bernardus, Black Kite, Hahn Family Wines, Kosta Browne, Loring, Lucia, Manzoni, Morgan, Pisoni, Roar, Siduri, Talbott, Testarossa, and Wrath. Gourmet bites will be provided from several of the region’s best chefs and restaurants. A big bottle benefit silent auction, live music and other surprises round out the day. Admission tickets are $120 per person and are available online at www.santaluciahighlands.eventbrite.com. A limited number of Early Admission tickets are $150 per person that allow entrance at 11:00 a.m. guaranteeing access to rare wines, library releases and new gems from SLH vintners. SLO Wine Country “Sip in SLO” Tasting Pass Program San Luis Obispo (SLO) Wine Country has announced the launch of “Sip in SLO,” a new tasting pass program fro the months of February and March (the promotion will also return later this year for November and December). After you purchase a pass at www.SLOWine.com for $40, pass holders can enjoy tastings at four wineries of their choice, selected from among 16 different participating tasting rooms across the region. Select participating wineries will also offer pass holders special discounts on wine purchases. Several of your favorite Pinot Noir producers are participating including Cutruzzola Vineyards, Laetitia Vineyard & Winery, Sinor-LaVallee Wine Company and Talley Vineyards. On a related note, Alaska Airlines will start offering direct flights between San Luis Obispo and Seattle on April 13, 2017 and will also allow passengers to ship one case of wine back to Seattle free as part of the airline’s “Wine Flies Free” program. Davis Family Vineyards Celebrates 20th Anniversary Vintage A former PinotFile “Winery of the Year,” Davis Family Vineyards is now offering barrel futures early this year, Barrel tasting is hosted the first two weekends in March when the Russian River Valley opens up barrels from the 2015 and 2016 vintages to taste and purchase at low prices. Unfortunately, production was down with the 2015 and 2016 vintages, so many were shut out. This year members of mailing list receive offers of the 2017 vintage a full month before Barrel Tasting in March giving them more opportunity to buy futures before they are gone. The wines will be bottled later this year and will be ready for pickup or shipping in March 2018. If you are not a member of the mailing list, contact Annie Rambo at annie@daviswines.com or all toll free at 866-338-9463. 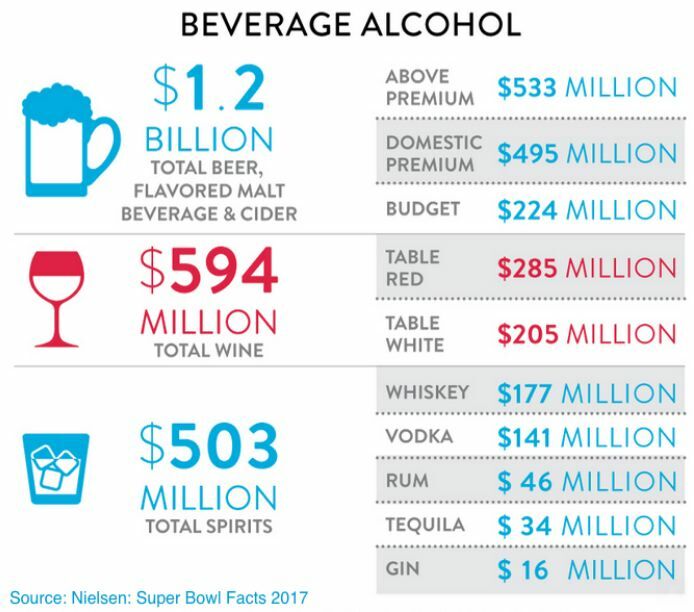 Super Bowl Beverage Alcohol Consumption The amount of beverage alcohol consumed each year around the Super Bowl is astonishing. Wine is way overshadowed by beer. 2015 Oregon Vineyard & Winery Census Report Southern Oregon University Research Center (SOUTCE) released its 2015 Oregon Vineyard and Winery Census Report in mid 2016. Of interest to Pinot Noir enthusiasts is that Pinot Noir leads all varieties with 62.2 percent of planted acreage (17,146 acres). Pinot Noir production was a leading combined North and South Willamette Valley total of 41,832 tons or 67.7 percent in 2015. The total number of vineyards is 1,052, with about 60% or 606 located in the North Willamette Valley and 10% or 109 located in the South Willamette Valley. Total vineyard acreage is 28,033. There were a total of 702 wineries in Oregon, an increase from 676 in 2014. Total sales in 2015 were 3,093,000 cases equaling $470,650,919, an increase of 8.5 percent over 2014. Canada remained Oregon’s largest export market. For all statistics, visit www.inside.sou.edu/research/winecensus.html. 2017 Wine Extraordinaire Now in its 36th year, the Orange County Wine Society (California) sponsored event raises scholarship funds for students studying enology, viticulture and culinary arts in several California colleges and universities. The event will be held at the OC Fair & Event Center in Costa Mesa, on Sunday, March 26, 2017, from 12:00 p.m. to 4:00 p.m., and features more than 85 wineries pouring samples to 1,000 attendees. Local restaurants provide samples, and there is a drawing for fine wines and a silent auction. For further details, visit www.WineExtra.org. Binge Drinking Dangerous to Cardiovascular Health Many of us have binged on alcohol more times than we want to admit when we were young, and regretted it the next day. Once the hangover is over, however, we quickly forget the pain and are oblivious to the long term consequences. A new study published in the journal Alcoholism: Clinical and Experimental Research (pre-publication 2017) was critiqued by the International Scientific Forum on Alcohol Research. The publication was a review of the effects of binge drinking on the risk of cardiovascular disease (CVD). It clearly showed that people who binge drink, however it is defined, tend to be at increased risk for pre-hypertension, hypertension, myocardial infarction (heart attack), stroke and cardiac arrhythmias in middle-aged and older adults Binge drinking may also have adverse CVD effects in young adults, aged 18-30. The mechanisms responsible are not completely understood but evidence suggests binge drinking may induce oxidative stress and vascular injury and lead to atherogenic changes (arteriosclerotic vascular disease). These adverse health outcomes are in addition to many other adverse health effects and risk from violence and accidents to the drinker and to others. This review and additional research results indicate that episodic heavy drinking, or binge drinking, has adverse influences on many health outcomes, including the risk of CVD. Read the full critique at www.bu.edu/alcohol-forum/critique-196.